I moved to China in 2005, and among the many culture shocks I experienced during the six months I spent studying Chinese in Beijing was incredulity at how cheap everything there was. The exchange rate had been fixed at 8.2 renminbi (RMB) to the dollar and prices were low; I used to groan whenever I came into possession of a 100RMB bill, because I knew no taxi driver or store clerk would want to break it. I’ve spent about four of the past nine years in China, and have watched the exchange rate fall and prices rise — I now get about 6.2RMB for every dollar that comes out of my American bank account. 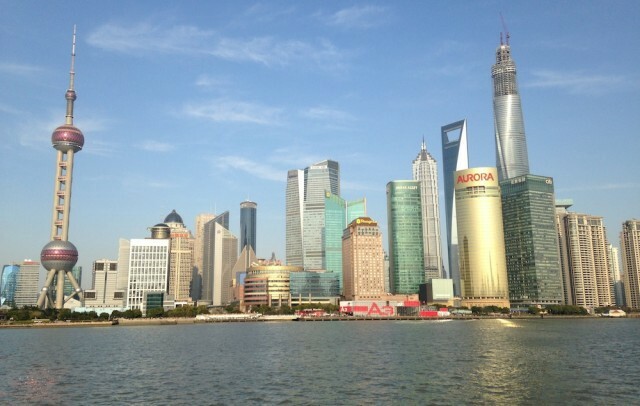 Since moving semi-permanently to Shanghai in October 2012 (initially to do research for my dissertation, now to write and teach there), I’ve had multiple conversations with other long-term expats about how pricey China has become, and Shanghai is now, by at least one measurement, more expensive than New York. But although I wouldn’t call living in Shanghai a bargain, my money goes a lot further there than if I had stayed in Southern California (where I went to graduate school) or the East Coast (where I’m from). Until this month, my life in Shanghai has been funded by two grants from the University of California. The first was to pay my expenses during dissertation research and worked out to about $1,500/month; the second covered a year of dissertation writing and paid $2,000/month. I also did some freelance writing and editing, as well as teaching for a study abroad program, which added anywhere from $0–2,000/month to my income. The dissertation grant is now over and my teaching job doesn’t re-start until September, so right now I’m living on money I had saved knowing that I wouldn’t have any significant income over the summer. Once I start teaching, I’ll be back to earning about $2,000/month, and I’m also planning to devote more of my time to freelance writing, which will (hopefully) bring in some cash. Housing: From Day One, housing has been my biggest splurge in Shanghai, and I’ve consciously decided to spend more to get the living situation that I want and that will enable me to work at home most of the time. In other words: no roommates. My first apartment was on the Street of Eternal Happiness, in the lovely and historic Former French Concession (FFC), where I paid 6,200RMB ($995) a month for a renovated one-bedroom in a laogongfang, or “old worker’s housing” complex that had been built in the 1950s. While the apartment was mostly great in terms of location and amenities, it turned out to have three major problems: (1) mice, (2) everyone in the rest of the building was also renovating their apartments to rent them out, and the construction noise made me want to puncture my eardrums with a set of chopsticks, and (3) when my lease was up at the end of the year, the landlord said he was raising the rent to 7,000RMB/month ($1,123), which I couldn’t afford. Time to move on. 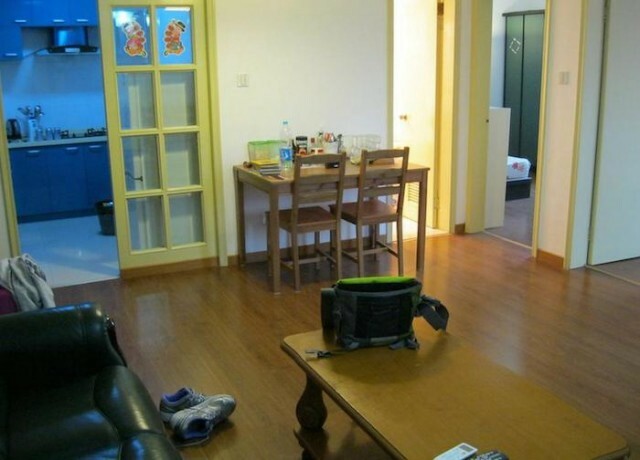 I focused my search on a less charming neighborhood west of the FFC and found that my 6,200RMB/month could get me a lot more apartment there. I moved into a two-bedroom on the 24th floor of a xingongfang, or “new worker’s housing,” high-rise built in 1998. Having the second bedroom means I now enjoy the pleasure of having a home office, which I never imagined I might be able to afford, and also means that my father won’t have to sleep on the sofa the next time he comes to visit me, which I think he’ll appreciate. The apartment isn’t quite as nice or as well-renovated as the one in the FFC, but it’s more convenient to the various places I need to be, and it’s still a pretty short hop on the subway into the city center. Even better, I haven’t seen a mouse yet. Utilities in China are inexpensive, and I generally spend less than 300RMB ($48)/month on water, gas, and electric combined. Transportation: Public transportation in Shanghai is almost absurdly cheap (due to government subsidies, I assume), and even taxis, which feel like a luxury to me, start at only 14RMB ($2.25). I take the bus most of the time (2RMB a ride [$0.32]) and jump on the subway for longer treks (3–7RMB, depending on distance). 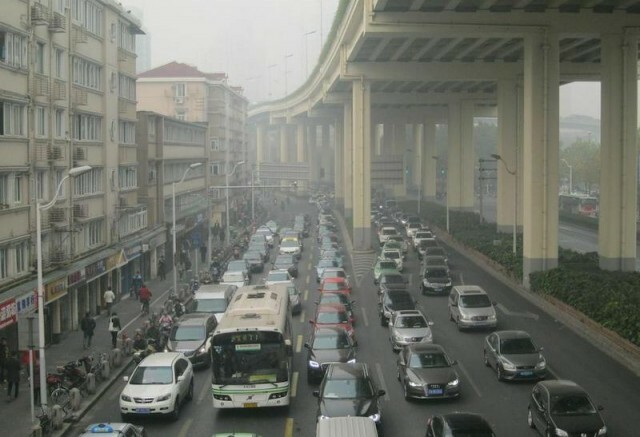 I also try to walk whenever I can, which isn’t always possible — Shanghai, like other cities in China, suffers from poor air quality — but overall, transportation costs are a fairly minimal portion of my monthly budget. Food: Here’s where Shanghai can be either incredibly affordable or insanely expensive, depending on whether or not you like Chinese food. I happen to like Chinese food quite a lot, but every once in a while I wander into Element Fresh and drop 100+RMB ($16) on a fancy salad, or drink a 50RMB beer at Boxing Cat Brewery. The rest of the time, I eat dumplings (~10RMB), noodles (~15RMB), and painfully spicy but delicious Sichuan food from a restaurant up the street (~25–50RMB, with leftovers for breakfast the next day). I usually choose to break up the workday at home by going out for lunch, and once or twice a week I’ll take advantage of the different lunch sets that area restaurants offer — generally 50–80RMB ($8-$13) for an appetizer/soup/salad, one of a select number of entrees, and dessert. Cooking at home, I’ve heard, is even less expensive than eating out, but I have yet to verify that rumor. I mainly use my kitchen to prepare oatmeal, peanut butter sandwiches, and salad. 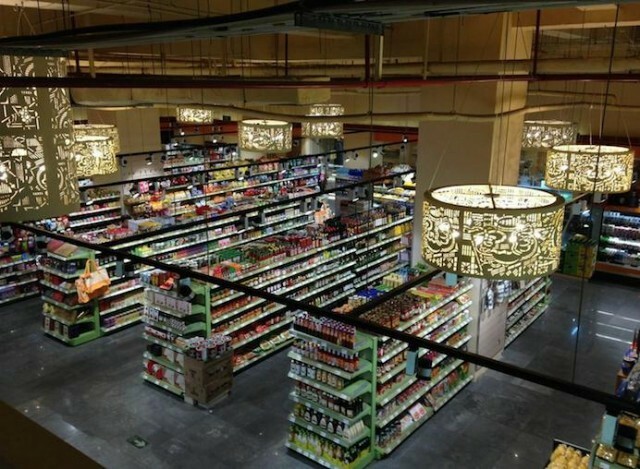 Grocery stores, like restaurants, fall into a cheap/local and expensive/foreign dichotomy. I do most of my shopping (for my staples of peanut butter, oatmeal, instant coffee, diet Pepsi, and club soda) at a local supermarket around the corner from my apartment, which is small and chaotic and filled with grandmothers who go food shopping on a daily basis. But a couple of times a week, I venture into City Shop, an American-style import store that features wide, gleaming aisles, a younger clientele, and astoundingly high prices on many things (60RMB boxes of cake mix, 125RMB canisters of oatmeal, etc.). I go to City Shop to see what’s on the clearance rack (I recently scored cans of “expired” Dr. Pepper, 2 for 12RMB) and buy chickpeas (11RMB a can) and fresh produce, which is more expensive than at the local supermarket but (allegedly) safer to eat — never a small consideration in China, where pork has been known to glow in the dark. Entertainment: Thanks to China’s pirated DVD industry, I’ve never been far behind on American movies and television shows, though in the past year I’ve saved money and stayed within the boundaries of copyright law by turning more and more to the free streaming site Sohu, which has made deals to feature shows like House of Cards at the same time they debut in the U.S. I still pick up DVDs now and then (12RMB or $1.93/disc, double the price I paid in 2005) when there’s something I really want to see, but more and more I spend my downtime listening to podcasts (free). I also read a huge amount, both for work and for pleasure, and the Kindle has improved my life a hundredfold in that respect, though my checking account balance might be a bit higher if I didn’t have instant access to virtually any book I want. Before Kindle, getting foreign books in China was always tricky: for one thing, government censorship limits the ones permitted into the country, and those that do make it into shops like Garden Books bear prices far higher than what I can afford (the regular publisher’s price + the cost of importing the book). The government-owned Foreign Languages Bookstore does sell cheap copies of classics, so back in 2005 I spent my evenings reading Jane Eyre and Pride and Prejudice over and over. Even with the Kindle, though, I always find that my suitcase is half full of books whenever I return to Shanghai from visits to the U.S.
Travel: After rent, this is my single biggest expense. The money I have left over at the end of the month goes into a savings account that I use to pay for my plane tickets back to the U.S. ($1,000–1,500, depending on the season and oil prices). I generally make two or three trips back a year, both to see my family and to attend conferences. I’ve gotten grants and reimbursements for some of those work-related trips, but now that I’m finishing my Ph.D., those will end. Otherwise, most of my travel is within China and generally inexpensive. I will admit that I’ve lost my tolerance for hostels as I’ve gotten older, but I’ve stayed in lots of 200RMB ($32)/night hotels in small towns, which are either surprisingly nice for their price or mold-filled nightmares. In cities (Beijing, Harbin, Qingdao), I’ve booked some really nice hotels through Expedia for $60–100/night. I have a totally arbitrary, self-imposed mental limit of 600RMB ($96) per way for plane tickets (I use Ctrip, a Chinese version of Expedia), and if I can’t get that price, I take the train. Miscellaneous: I get health insurance through the University of California, but I’ve never used it in China and have been lucky so far in avoiding medical expenses, knock on wood. I went through a crazy period of only being able to get short-term visas (at 1,000RMB [$160.50] a pop) and had to shell out for five of them in a row before managing to secure a one-year visa by visiting the Chinese Consulate in New York, so now I’m good through next April. My parents gave me an unlocked iPhone for Christmas last year, and my China Mobile coverage costs about 100RMB ($16) a month for phone and data, which might be the single biggest savings in terms of China versus the U.S. 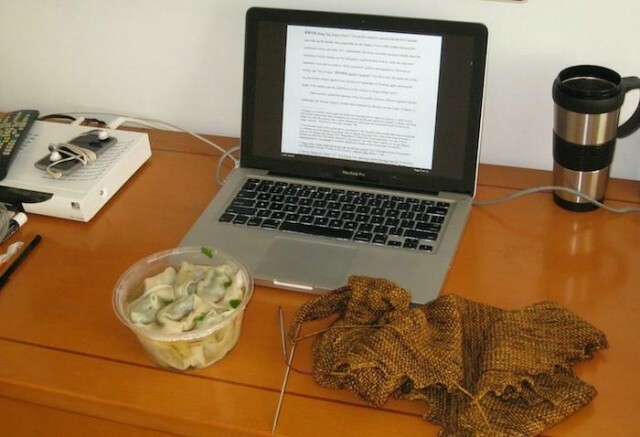 The biggest lifestyle difference is that I have a housekeeper in Shanghai (100RMB/week), whom I hired at the beginning of the year when I was in a total panic that I’d never get my dissertation done in time to graduate this summer. Coffee: The fundamental building block of my life and work. It’s expensive — Starbucks costs more in China than it does in the United States. I usually go there once or twice a week to read or write, and the rest of the time I work in my home office and drink instant Nescafé. It’s not great, but there’s something about instant coffee that says “China” to me: the smell of the crystals immediately reminds me of being in my freezing Beijing dorm room back in 2005, back when I could barely form a sentence in Chinese and scarcely imagined that I’d be counting my renminbi in Shanghai nearly a decade later.